LONDON -- UK new-car registrations dropped 21 percent to 338,834 in September following the introduction of a new testing regime, the Society of Motor Manufacturers and Traders (SMMT) said in a statement on Thursday. On Sept. 1, the Worldwide harmonized Light vehicle Test Procedure took effect in the European Union, leading some brands to incentivize sales in August to reduce stocks, which resulted in a 23 percent rise in registrations for that month but pulled sales forward, contributing to September’s double-digit decline. 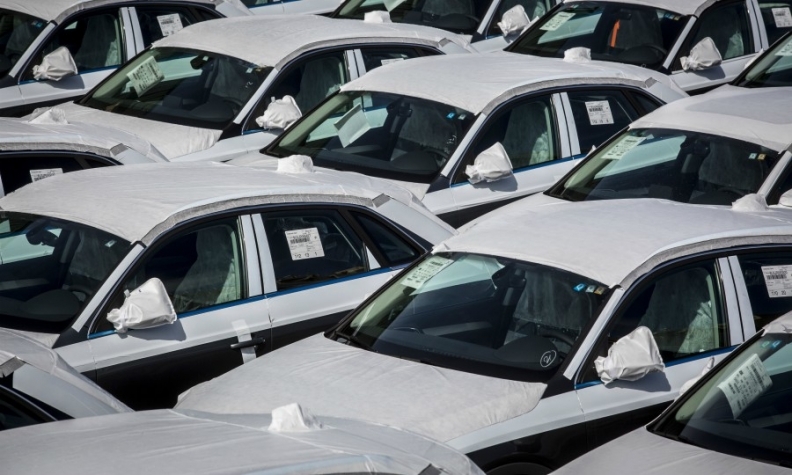 Since the start of last month, automakers in EU markets have only been allowed to sell vehicles that have been certified under the WLTP, with few exceptions. “With the industry given barely a year to reapprove the entire European model lineup, it’s no surprise that we’ve seen bottlenecks and a squeeze on supply,” SMMT CEO Mikes Hawes said in the statement. Ford was the UK's top-selling brand in September with a 16 percent slide in sales, followed by Mercedes-Benz, which dropped 4 percent. Third-placed Vauxhall’s volume fell 7.1 percent, ahead of BMW, whose sales dropped 11 percent. Registrations at No. 5 Toyota fell 0.6 percent. Other losers included VW brand (-55 percent), Audi (-53 percent), and Nissan (-42 percent). Volume at VW Group’s Seat brand fell 37 percent while Skoda’s sales slipped 31 percent. Renault sales fell 19 percent, Mini by 18 percent and Peugeot by 14 percent. Land Rover volume dipped 12 percent, while Fiat dropped 11 percent. Hyundai was down 2.9 percent and Citroen 3.7 percent. Monthly sales winners included Jaguar, up 19 percent, and Kia, which rose 3.7 percent. Through September, the overall market fell 7.5 percent to 1.91 million.